Read more about how condensation occurs and what you can do to counteract it. Replacing windows on your house is a big investment, but if you opt for energy-rated windows, the replacement pays for itself directly in the form of lower heating costs. New energy-rated products set extremely high quality requirements in terms of air permeability (air tightness), which is an extremely important characteristic of energy efficiency and comfort in your property. At the same time, you increase the value of your house, which also becomes rather more attractive to look at. Other benefits are enhanced comfort and a smaller environmental footprint. EQ Windows is a cooperative venture between leading manufacturers of energy-rated windows. Together we seek to increase awareness among consumers and decision-makers about the impact of windows on the energy consumption of buildings. 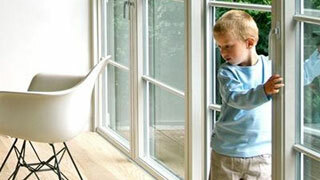 The aim is to help achieve energy savings and improve the environment by choosing energy-rated windows. Condensation occurs when very moist air encounters a cold surface. 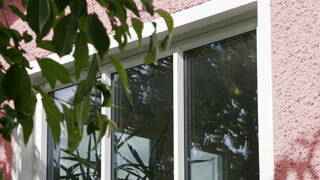 It can occur internally, externally and between the glazing. The label on an energy-rated window reveals how the window in question compares to other windows. To ensure we obtain a good indoor climate, a reliable system is needed to replace the old air inside with fresh air from outside. How does ventilation work best? This is how much you will save! You can quickly and easily work out how much you can save by switching to energy-rated windows. One window can differ from another. Here you will find manufacturers that give you a bit more energy. 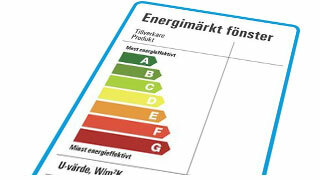 Do you want to know how to reduce your energy consumption and increase your living comfort at home? We have the answer.